Updates: Check out the newest version of this mod here or check out the first version of the backseat LED Mod here. 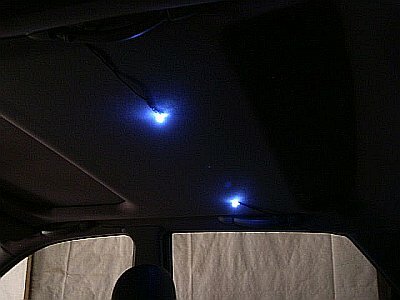 SOLUTION: Add four bright white LEDs to the backseat that will illuminate from above. 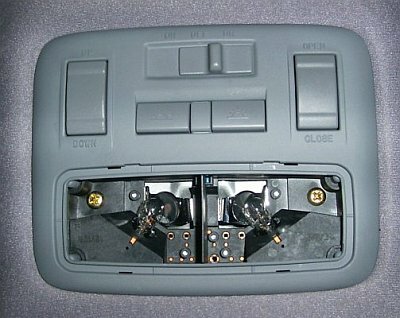 I want this to work so that when the car doors are open the lights will turn on. 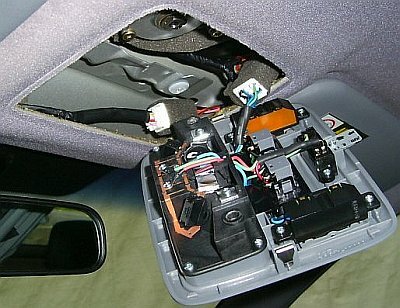 I’ll also have the ability to turn them on with the passenger side map light! The circuit is 4 LEDs in series and two 10 ohm resistors in series as well. These aren’t the brightest solution, but they are small, take very little power, and I just love LEDs!!! DISCLAIMER: This is a work in progress! With the new baby and my reluctance to punch holes and tear apart my “new” car I did this quick. 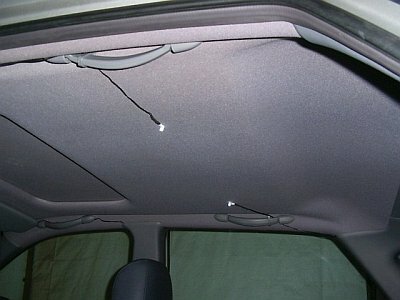 When I have more time, experience, confidence, and maybe when my warranty wears out I’ll cut into the headliner. 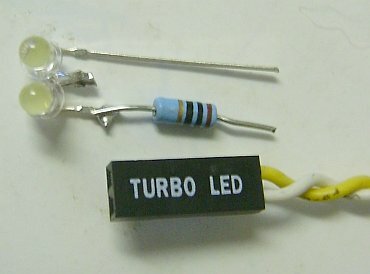 1 – 10 ohm resistors. Misc. Cannibalized computer parts for connectins. First step was to remove the light assembly. This was much easier than I thought it would be. 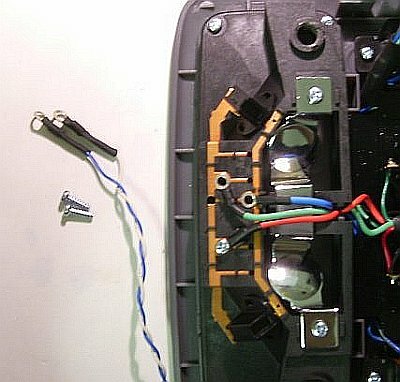 I simply removed the light cover and then removed the two brass screws holding the assembly in place. 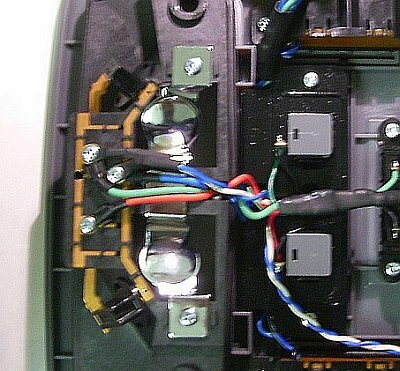 Next I found some connectors that matched those going to the passenger side light and soldered them to a PC “turbo” light connector. Here they are screwed into place. 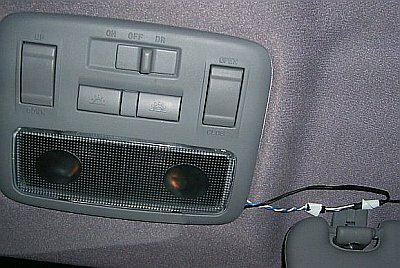 Here is the temp wiring (until I’m bold enough to go into the headliner). This is what it looks like with the visors down. This is what it looks like with the visors up… not so bad. 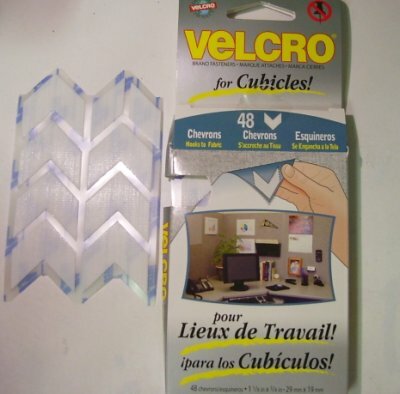 This is the “cubicle velcro” I’m going to use to get the wires and LEDs to stick. I just bought it today and I went to check that it would stick… well, it stuck so well it pulled the pieces right off the backing! This stuff is great! Below is one of the connectors from my PC with the LED / resistor combo. Here are the lights in action. With the velcro I can re-position the lights anywhere I like! Here they are with the flash off… pretty cool!